Would this keep in the fridge for a couple of days? I could make this for my lunch for the next few days. Aww hooray for a throwback recipe!! I’ve actually been doing the same thing. Re-photographing and updating old recipes that I shared on my blog before I worried too much about what the food looked like. It’s incredible the difference! 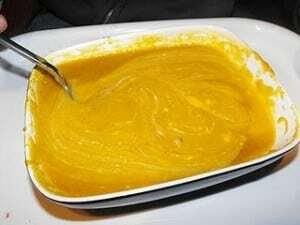 Pumpkin soup! That sounds amazing, Dannii. The only thing that could improve on this would be a pumpkin cookie or a pumpkin muffin right afterwards! Seriously, though, well done with this soup…it looks amazing. And your photos are awesome! I actually laughed out loud that the previous photo was taken in Dave’s lap. That’s epic! 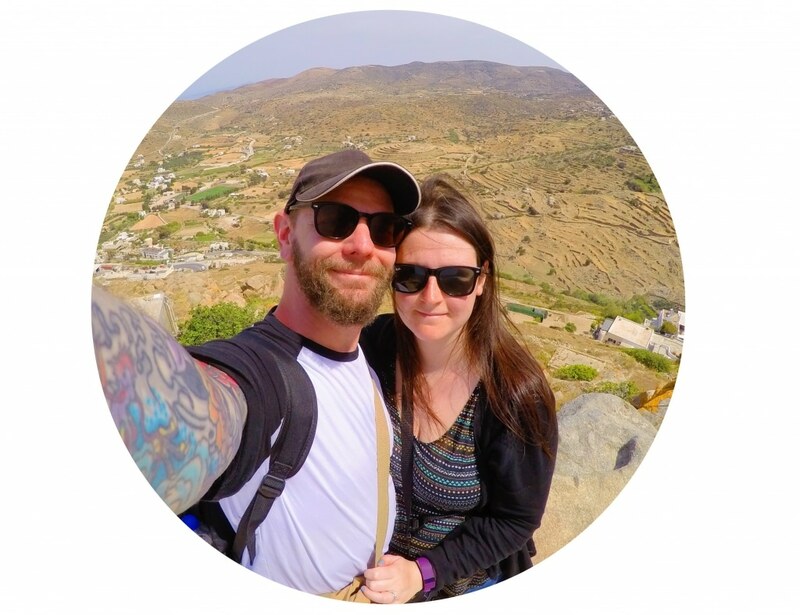 I have been following your blog from the beginning and I have really enjoyed seeing it change. 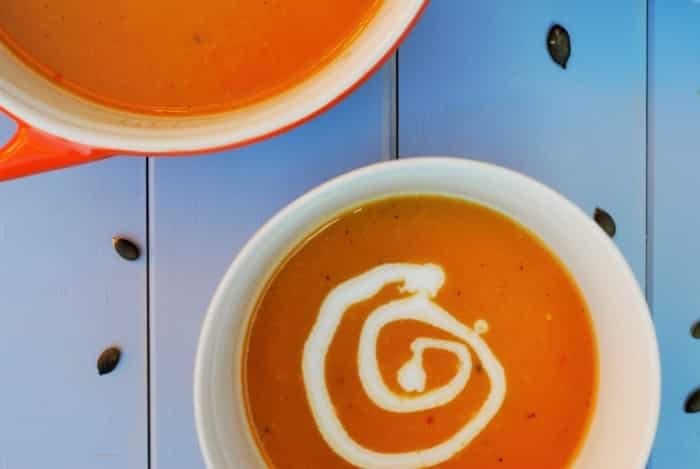 I actually ordered pumpkin soup in a restaurant at the weekend, so I might give it a go myself. I’m with you about loving soup! And this would make an excellent side dish, maybe for the Thanksgiving holiday we have coming up here in the states! Thanks for sharing, Dannii! Soup really is the most simple of things to make, yet for whatever reason, I never do it! It is essentially the same process as an omelet, and I make those all the time. What is wrong with meeeeee. YUM! I could so go for a bowl of this right now! I am a loyal fan of anything pumpkin! Your soup looks so very creamy and comforting, Dannii. 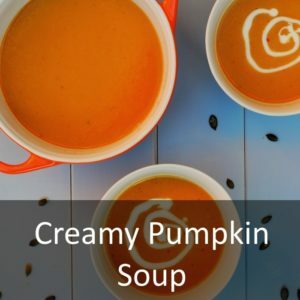 I am a pumpkin addict and I have been cooking pumpkin twice a week for a month now! 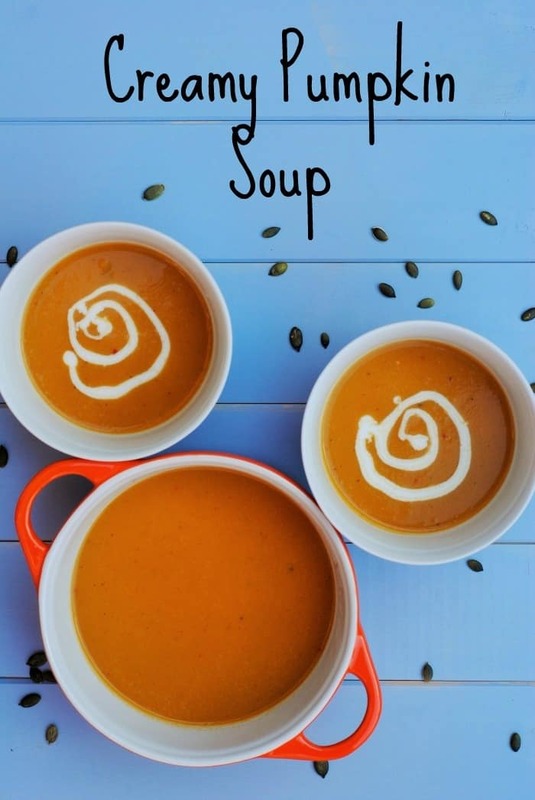 Love the look of this creamy and delicious soup. I find the addition of coconut milk very interesting. I should try that next time. 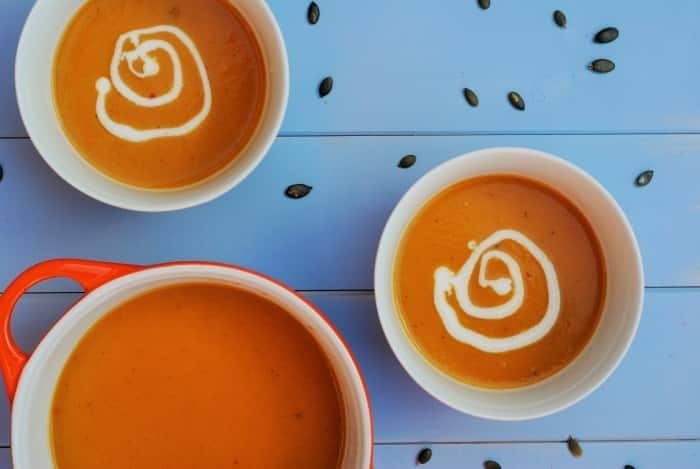 This pumpkin soup looks amazing, Dannii! I made a similar soup last fall, but added veggies to it. I will have to try your version, as I love how creamy it is! I really love pumpkin soup. It can be creamy without anything unhealthy added into it! Congrats on reposting your first recipe! That’s something to really celebrate, Dannii! I had pumpkin soup the other day from a can and it was pretty good. I’m sure the real stuff will be even better. Great post Dannii! So glad you are doing well and thanks for sharing! 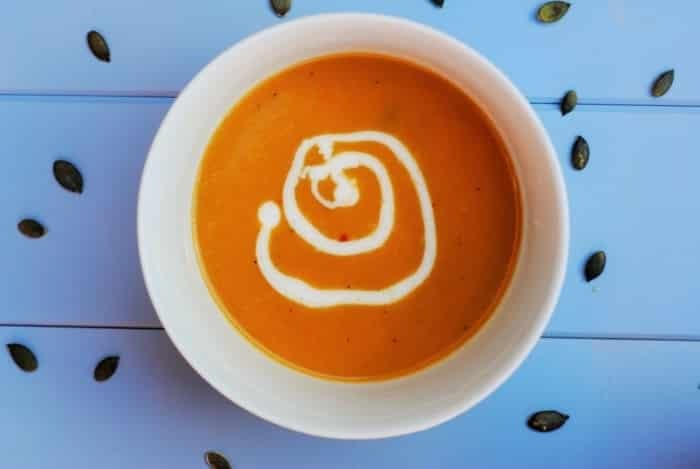 This soup looks fantastic! 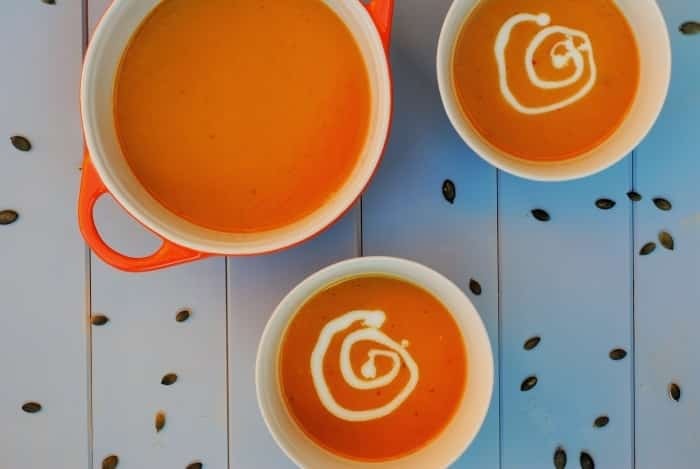 I need to make it, because I haven’t made pumpkin soup this fall yet!